Welcome to Fraoch Cottage in the Scottish Highlands. Stunning setting, ideal for up to 3 people. 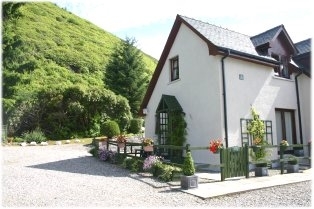 Fraoch Cottage is attached to The Heathers B&B, and this delightful holiday cottage manages to combine all the servicing and safety advantages of attachment to the main house with the independence and privacy expected of self-catering accommodation. 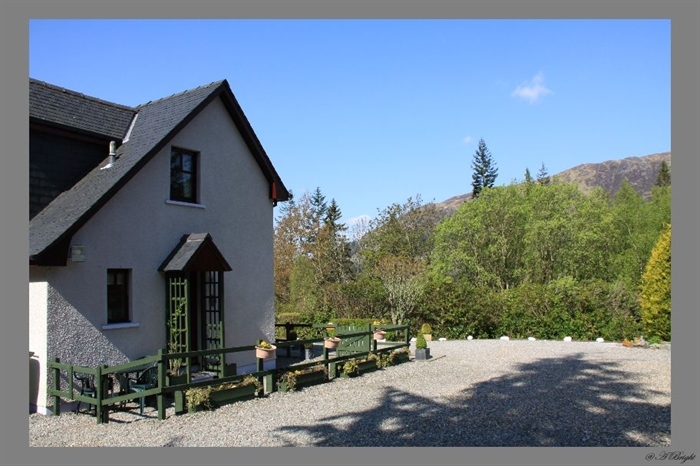 Accommodating up to 3 people, this two bedroomed cottage is ideal for a short break or longer highland stay. Located in a natural hillside setting on the eastern rise of The Great Glen, the grounds of The Heathers and Fraoch Cottage benefit from excellent views over Loch Lochy towards the forested mountains beyond. A great location for walking, cycling, canoeing or simply relaxing and enjoying wonderful scenery. The cottage is dog friendly and The Heathers B&B has drying facilities.